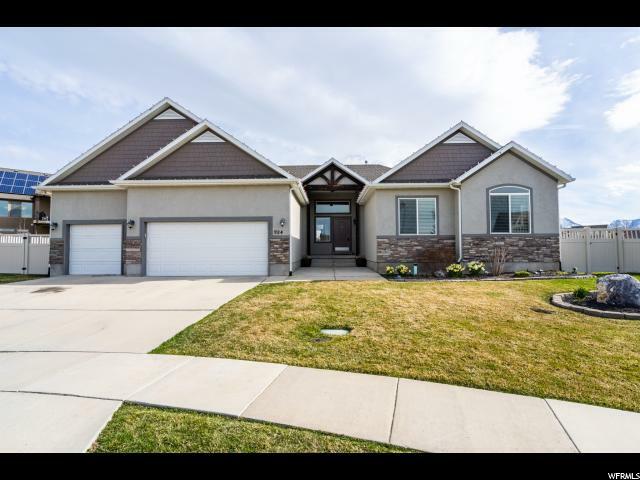 All FOX RUN PUD homes currently listed for sale in Lehi as of 04/18/2019 are shown below. You can change the search criteria at any time by pressing the 'Change Search' button below. "You will love the Welcome Home feeling you get as soon as you walk through the door of your new home! This beauty offers a nice open floor plan with a big kitchen that is perfect for all your entertaining needs. Speaking of entertaining, your backyard is HUGE with a trampoline, fire pit and a built in hot tub where you can relax and enjoy a beautiful mountain view! Your future home has large bedrooms with shelving in every closet, 2 family rooms, and a theater room. You'll be settled in a nice cul de sac where your kids can hang out and play basketball with the neighborhood kids. Don't miss out on this one! Call today for your private showing!"